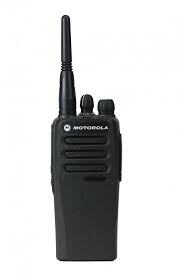 In 2005, Europe was adopted standard for digital radio DMR (Digital Mobile Radio), and in 2007, Motorola released the first line of digital radio MotoTRBO in this standard. Since then, the digital radio market is constantly growing. For example, in 2009 30 % of all sold radio stations in the world were digital, in 2013 this figure rose to 45% and it is expected that in 2015 it will reach 55%. New radios operate in both analog and digital modes. Therefore, in 2015 the company completely cease production of pure analog communication devices. Nonetheless, users have excellent conditions for migration, because new devices can work in the current communication structure. The shift to digital technologies has expanded the functionality of the devices. So, added monitoring location using GPS, text messaging, the ability to perform developed applications, the ability to integrate with IP network. Solutions portfolio includes MotoTRBO subscriber radios, portable and automotive, infrastructure components, without which it is impossible to create radio networks , and accessories. 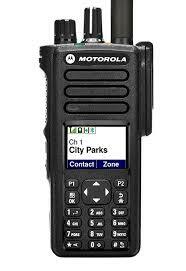 In 2014 Motorola introduced a new series DM1000 and DP1000, which refers to the budget price range in line MotoTRBO. Portable and car models in this series have only basic functions. They operate in both analog and digital mode, and oriented mainly for voice transmission. Entry-level model DP1400 in digital broadcasting provides voice and expanded coverage and increased by 40% the duration of battery life compared to analog devices. Thanks to the Dual Capacity Direct Mode, which provides two channels of communication in the band of 12.5 kHz and can construct on DP1400 a twice as high capacitance net. The radio can operate in a exceptionally analog broadcasting, enabling flexible transition to a digital communication system as the readiness of the enterprise.